A tasty Basque speciality prepared with tender pieces of chicken cooked in a tomato and red & green pepper based sauce. 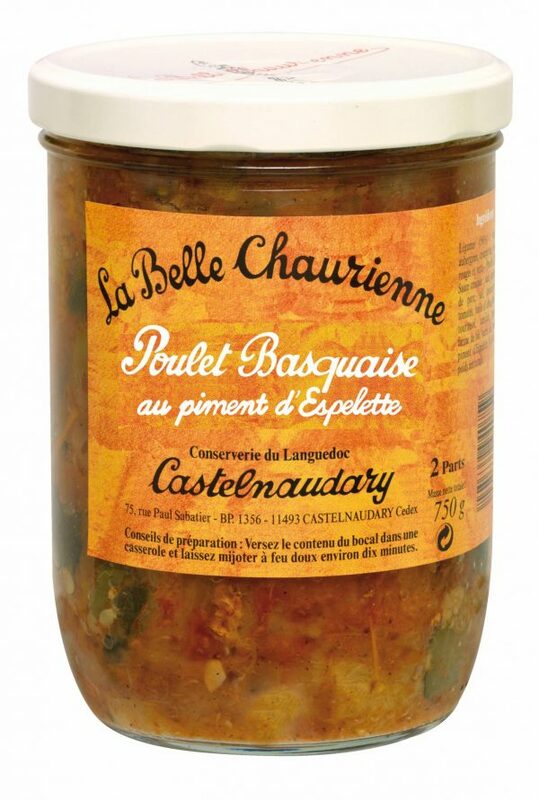 Makes a delicious French meal for two and goes well with mashed potato or rice to absorb the sauce. As good as a French restaurant! Dietary Information: Gluten and wheat free. Dairy free. Egg free. Nut free. Lactose free. 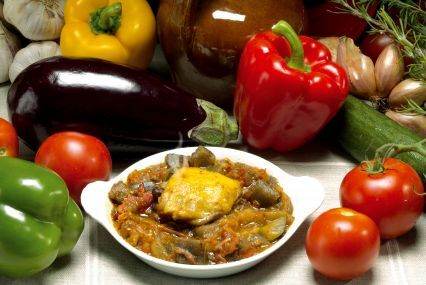 Vegetables: tomatoes, aubergines, courgettes, onions, red peppers, green peppers – Chicken – Sauce: water, dried ham (ham, salt, dextrose, preserving agent: sodium nitrate), salt, modified corn starch, tomato concentrate, sunflower oil, olive oil, sugar, garlic, pepper, Espelette pepper. Best enjoyed with rice or mashed potatoes to absorb the sauce.